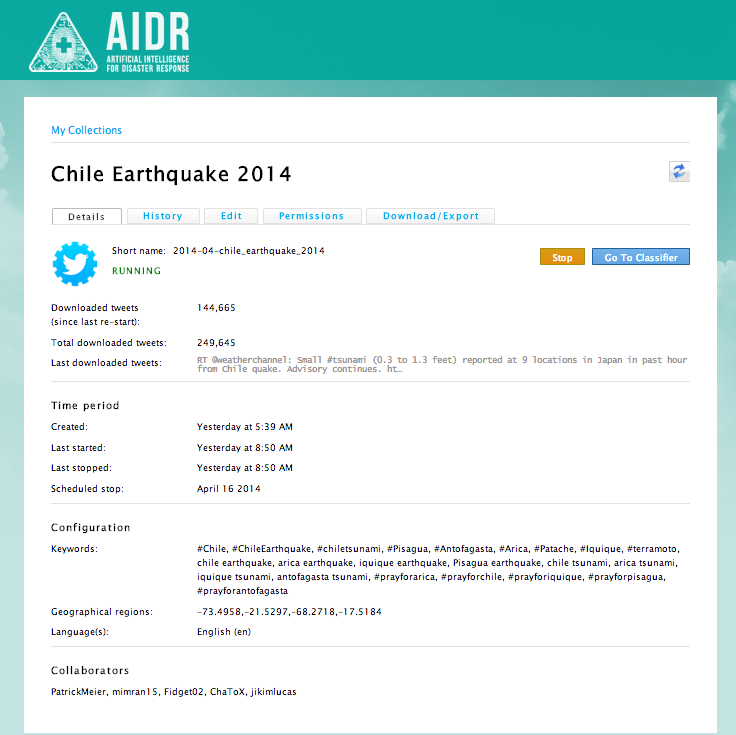 This entry was posted in Big Data, Crowdsourcing, Humanitarian Technologies, Social Computing, Social Media and tagged AIDR, Chile, earthquake, MicroMappers, Twitter. Bookmark the permalink. Is social media not used in some cultures (due to cultural sensitivities), and could that effect building tools for disaster management in those countries ? Thanks for reading. Indeed, AIDR seeks to solve a very specific problem, not every problem under the sun. This problem (making sense of social media during disasters) was presented to us by several humanitarian organizations (international and national). So that is the problem we have set out to address/solve with AIDR. We are also modifying AIDR to take streaming text messages (SMS). No humanitarian professionals I know would ever advocate for the use of a single information source to base decisions one. Humanitarians today are “Information DJ’s”, they take multiple tracks of information and make the best mix they can to augment situational awareness. So AIDR simply contributes one track to this mix. Great stuff Patrick. It is definitly the right approach do deal with large scale disasters. 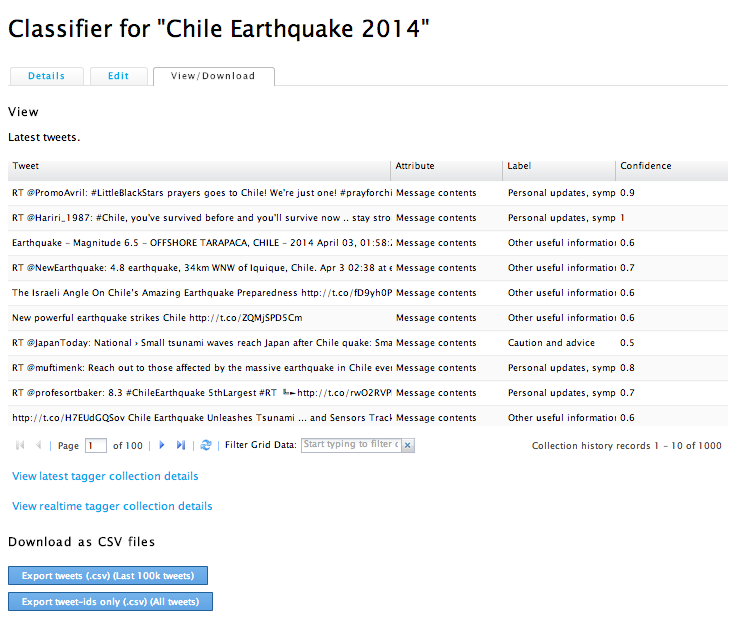 Do not you think that brining in some thematic knowledge, like in the case of Chilean quake, the expected shaking level could help? That’s what we (Euro-Med Seismological Centre) do to assess the reliability of the crowdsourced info (geolocated pics, testimonies), we also compare them with the results of traffic pattern analysis (flashsourcing) and then are able to detect soem of the errors. My second point concerns time after the event (you notice that I focus on rapid onset disasters such as earthquakes, you can understand why). Our strategy is to focus on the first seconds to the first couple of hours in our analysis of the data (both crowdsourced and on social networks); In this period, the ratio of eyewitnesses reporting information is the highest and the volume of data to be ingested is lower. Have you explored this aspect, because it may stress on the importance for starting as fast s possible the AIDR analysis. Is this platform adaptable to classify social media streams from other events such as elections or protests? 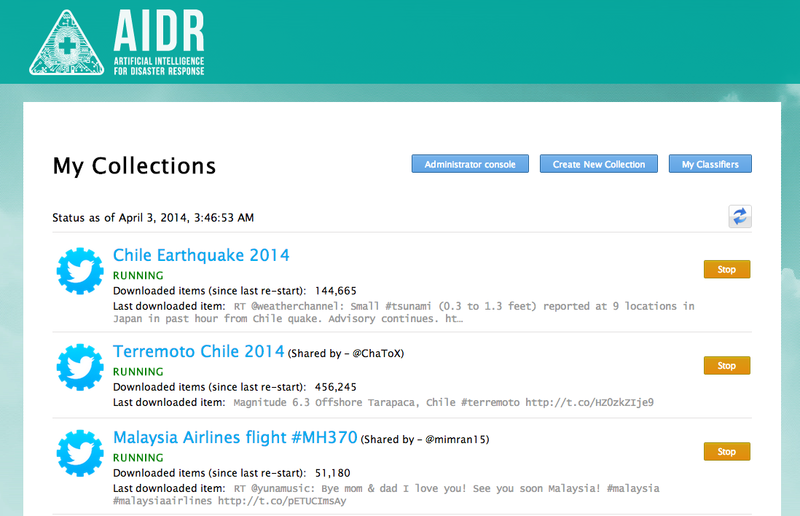 Disaster response suggests it’s limited to mass casualty events or humanitarian crises, but I can easily see how this tool would be useful in political or social contexts. 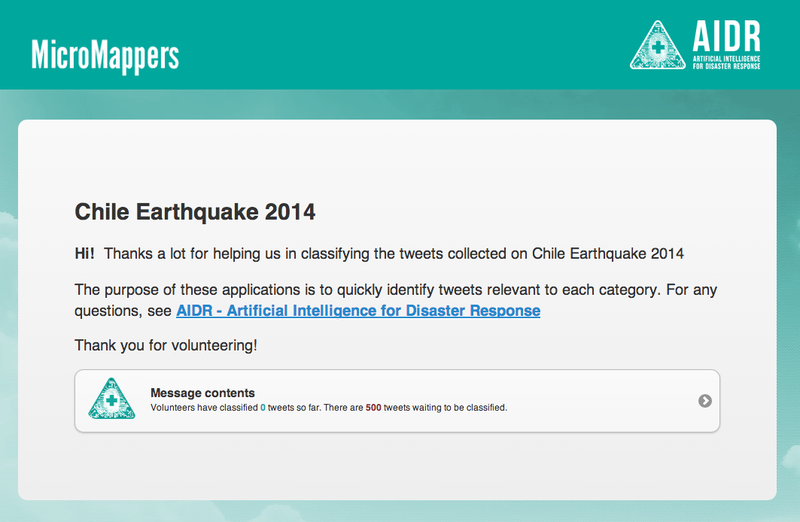 Our Terms of Service requires that Tweet collections on AIDR focus on broad humanitarian related issues. This looks really promising – congratulations. I have a question about the geofencing you mentioned. 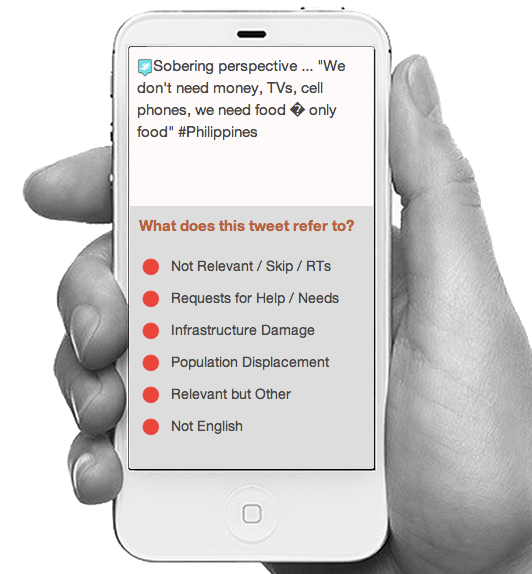 How are you addressing the issue that only a very small part of all tweets contain embedded GPS information? In a lot of developing countries you will naturally have only have very few tweets (and no, I don’t want to start the fruitless discussion about representativeness) and by narrowing it down further to only tweets with GPS information you might end up with a very, very small sample that might exclude a lot of relevant information. Any thoughts on that? Hi Timo, many thanks–as always–for reading, and for your follow up question. 5) Humanitarians are becoming information DJs, trying their best to create the right mix from imperfect soundtracks. I personally am more interested in fixing #2 than looking for technological fixes. 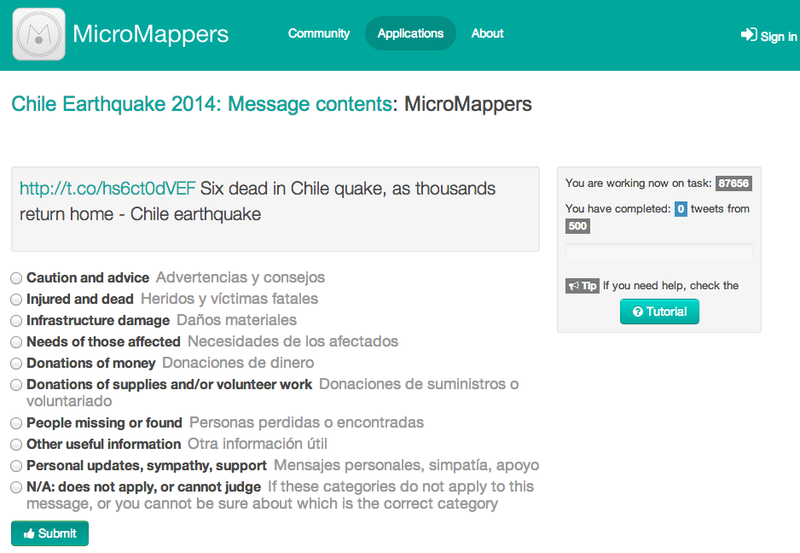 If government/UN agencies want more geo-tagged data, then they should ask for it. AIDR is the great initiative. I am the student of Disaster & Emergency Management program in York University, Toronto. I would like to testing out AIDR platform. I believe, it will be very useful for my research and data collection. I am having problems downloading the tweets. When I download the CSV file is empty. Is it a known issue? Should I use another format? Dear Vittorio, thanks for your note. I left QCRI a year ago and so have not been as involved in the AIDR platform since then. I recommend you contact QCRI directly. Dear Patrick, thank you for your fast reply and cooperation. I will ask QCRI. I take the chance to tell you that I really appreciated your book “Digital Humanitarians” and the need for technologies that make us more human :).